This recipe is for the experimental amongst you. It’s a blueprint – a source of what I hope will be inspiration and further motivation for you to go wild. It’s a beginner’s blueprint in that you need to background knowledge to play around with this one. I’m going to walk you through it. Are you ready? Because it doesn’t get easier than this. 1. I blended about a cup of oats into a fine powder (in the blender) to create oat flour. I poured that into a big bowl with five scoops of Optimum Nutrition Caramel Toffee Fudge whey, about a half to 3/4 of a cup of actual rolled oats, and enough milk – almond milk – to hold the mix together. 2. Once the batter was thick enough, I pressed it onto a wax-paper-lined tupperware and stuck it in the fridge overnight. 3. Then, next morning, I cut the mix into bars. Result? YES! They worked! The only thing is that they were a bit chewy but I knew this would happen (because whey + oat-based bars tend to get chewy if you don’t add another powder in there like coconut flour or even almond flour.) They worked though and we absolutely devoured them as we took in the immense beauty of the Rocky Mountain National Park! Are missing. I apologize for this. I just didn’t weigh anything precisely because I was in full-on experimental mode – and my kitchen scale wasn’t with me. You could add a tbsp or two of coconut flour to the mix (to get rid of any chewiness) and bind that with a bit more milk. You can coat the bars in melted chocolate. You can use casein instead whey but, if you do, make sure you add a further binder like nut butter or seed butter. You can add nuts and/or seeds to to your bars to make them crunchy. 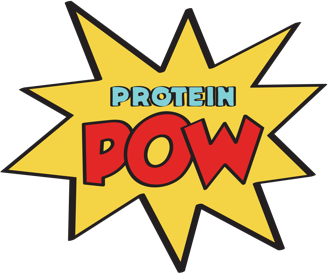 For more protein bar recipes, check out The Protein Pow App! And my protein bar ebook, of course.